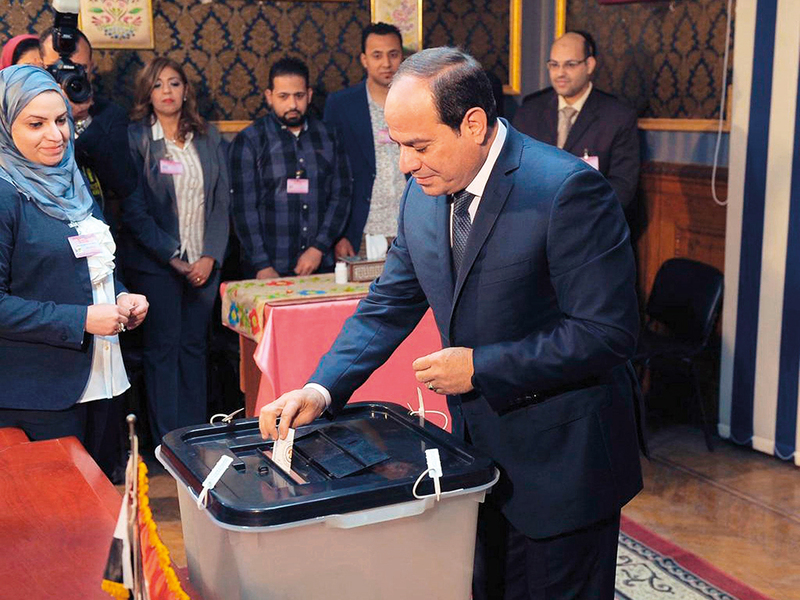 Cairo: Egypt’s parliament has brought forward a vote on proposed constitutional amendments that would allow President Abdul Fattah Al Sissi to stay in office well beyond his current term, which ends in 2022. The vote was initially scheduled for next week, but is now being held as early as Wednesday, lawmaker Nadia Henry said Monday. Last week, the parliament initially approved proposed amendments to the charter, endorsed at a public vote in 2014. The proposals, sponsored by the pro-state Egypt Support bloc in the legislature, includes extending the presidential term to six years instead of four, appointing at least one vice president and reviving the upper house of the parliament. The current constitution has a two-term cap for the head of the state. Backers of the changes say a total of eight years do not allow enough time for incumbent Al Sissi, who took office in 2014, to go ahead with his efforts to re-establish stability and rejuvenate the ailing economy. Sponsors of the changes also argue the appointment of one or more deputies is aimed at helping the president run the country’s affairs. The legislature, dominated by Al Sissi loyalists, was originally due to meet on February 17. But the assembly rescheduled the vote to Wednesday in order to finalise endorsement of the proposals before a three-month deadline, the sources said. “The assembly seeks to end approving the amendments before this deadline so that they can be put to a referendum by the end of April, before the start of Ramadan,” one source said, which starts in early May this year. The constitutional changes have to be approved by two-thirds of the 596-member legislature before the draft is referred to the president to call for the public vote. The legislative approval is almost certain as Al Sissi’s backers wield an overwhelming majority in the parliament. The constitutional changes cannot become law before they are endorsed in the referendum. “The 2014 constitution was drafted under extraordinary circumstances that followed the revolution against the Muslim Brotherhood,” Salah Al Hadi, a political expert said. In 2013, Al Sissi, the then defence minister, led the army’s toppling of president Mohammad Mursi following enormous protests against his rule.